JOIN OUR ANNUAL ANNIVERSARY PANCAKE RUN! Saturday, November 24, 2018, 8 a.m.
For as long as we can remember, we've celebrated our store's birthday & kicked off the holidays the same way: with our Saturday-after-Thanksgiving Pancake Run & Walk. A tradition we've kept for 31 years, we look forward to seeing everyone during this joyous event. Start the season off with a run or walk followed by homemade pancakes & local coffee from Java Love Coffee Roasting Co.! Then join us for storewide Friends & Family gifts with purchase. The holiday season is full of cooking, shopping, traveling and hopefully some running. So, we appreciate the extra time you spend with us at Fleet Feet. To say thanks, we have some special gifts for you when you spend $200 or more in-store from Nov. 23 - 26. Because when you support your local Fleet Feet, you become part of our community—our friends and family. In Store Only. While Supplies Last. In-Store Bucks redeemable Jan. 1 - Mar. 31, 2019. See store associate for details. A small donation of $5 or more is recommended. 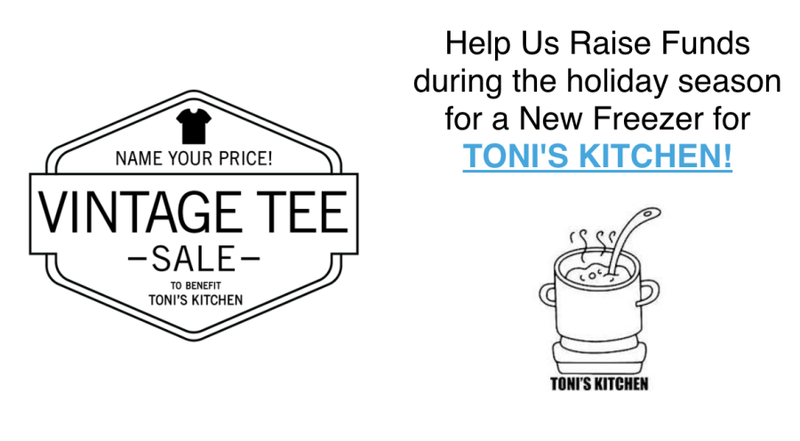 All proceed from our Vintage Rack go to Toni's Kitchen.